This is one of those days when we are not happy with the choices we have made, and maybe are not happy with the choices others have made, either! We might be feeling disillusioned and depressed because it may seem as though there are no good choices. This is more than just feeling cynical about the U.S. presidential election! It’s a deeper feeling of angst, a “who cares anymore?” attitude. I don’t like it and personally, I regret even drawing this card! 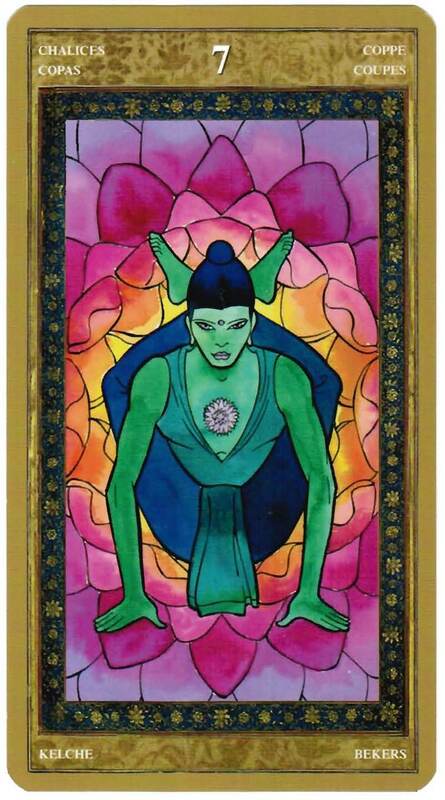 –which, to me, in the Yoga Tarot, also has a look of medical inflammation about it. Those lotus petals look like irritated body tissues to me. Maybe the disillusionment goes deep enough to affect our choices about health. 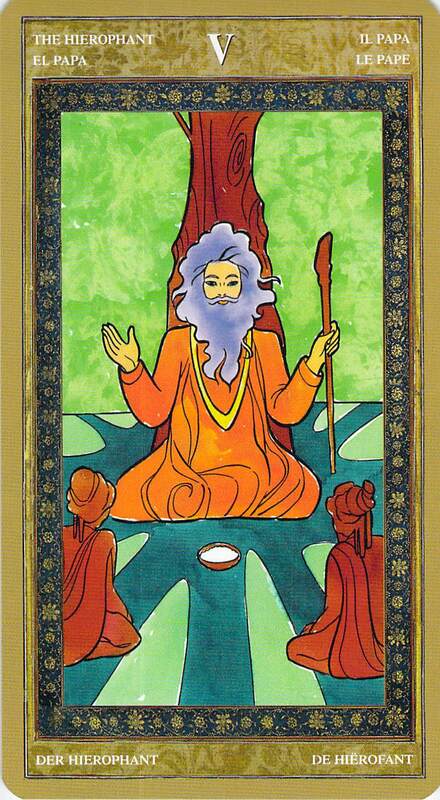 We could always learn from our experiences and share what we’ve learned with others, but today we don’t really see that option either (reversed Hierophant). Instead, for parents, for teachers, for managers, it may seem as though the inmates are running the asylum. They are ready for a change, but we don’t know what change they are ready for and wish they would all just go in another room and be quiet for a bit. But maybe the inmates can run the asylum for a while without causing much harm. There is a heart lesson in all of this (take note of the greens in these cards). 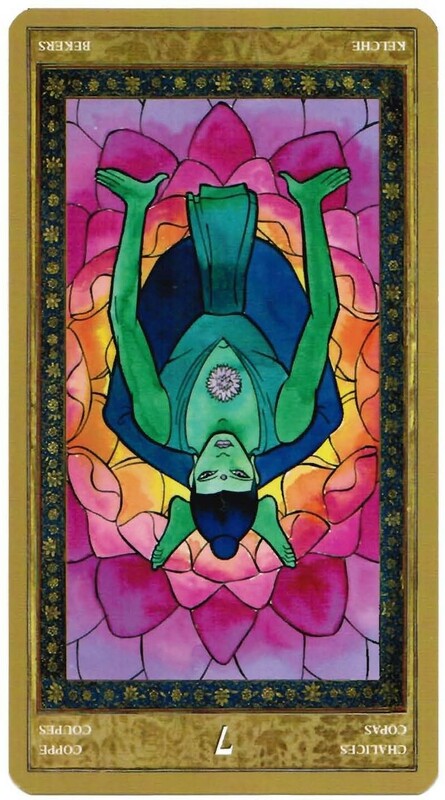 If we can find that lesson, we can not only get through this day, but also turn these cards right-side up again. We want to bring our inner Emperor to take charge of this situation, but is that really necessary?